Coffee should be exceptional, challenging the status quo. Its many flavors and tones allow it to have significance in nearly every nation of the world. Travel has allowed the C3 team the opportunity to compare and contrast some of the best coffee products. 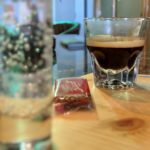 Whether it is a cup of pour over brew in South America, cappuccino or espresso in Europe, or just a shot of Cuban coffee in Miami, we have come to know what the best of coffees should taste like. Our coffee is carefully selected from countries around the world from farmers who cultivate and process the beans to their maximum quality. It is then carefully hand roasted so that each bean reaches its destined perfection. 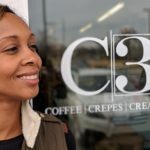 Since coffee is best enjoyed when it is freshly ground and methodically prepared, C3 brings its clients the best and meticulously prepares it with the intent that every cup creates the highest experience for the taste buds.